Since 1995, ABC Equipment has provided rental solutions for masons and contractors of all sizes. We are here to help with all your commercial and industrial scaffolding requirements. Efficiency and reliablility are our commitment to you. We typically have the inventory you need on hand to allow for quick delivery or pickup. We proudly offer scaffolding products from Direct Scaffolding. You can count on DSS for safe, durable, and long lasting scaffold products. We offer a wide variety of sizes to fit your needs. We have available Stick, Walk-through, and Ladder box scaffolding. Along with X-Braces, Side Arms, Screw Jacks, Base Plates, Caster Wheels, Guard Rail Posts, and Safety Poles. In addition, if we don't have something you need, we can usually locate what you need. Contact us today to discuss your project and the tools and equipment you'll need to complete it. 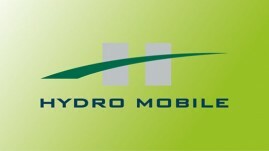 We are the exclusive dealer for Hydro-Mobile products in Arkansas and many surrounding areas. Hydro-Mobile's M-Series is the perfect tool for any facade work that requires high capacity, whether for new construction or restoration. The P-Series is the perfect tool for smaller jobs that require high capacity or for restrained work area where most platforms can't fit. 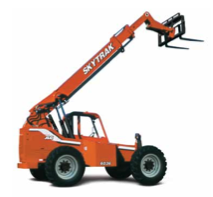 While the F-Series mast climbing platform is specifically designed for projects 100' or more in height. On many jobsites, a combination of products will increase productivity and give access to all trades according to their needs. 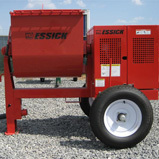 We offer several Multiquip/Essick Mixers, the ultimate in heavy-duty mortar mixers. These mixers are the ideal choice for most jobs. Their durable construction, easy maintenance and reliable design, make it the right choice for masonry contractors. 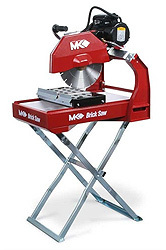 We also offer rental options for MK Diamond Saws, Skytrack Lifts, and Grout Pumps.